By spraying buildings with a titanium dioxide treatment, facades and roofs can become smog neutralizers. When exposed to sunlight, the cost-effective treatment reacts with nitrous oxides that result from fuel combustion and breaks these chemicals down into less hazardous compounds. When the treatment was applied to a Mexico City hospital, the single building was found to mitigate air pollution created by 1000 cars. 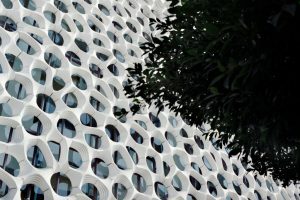 The positive impacts of the treatment can be further enhanced through a quasicrystalline facade design that can increase building surface area by 200%. The result? Cleaner air and visually appealing buildings. Between thin-film solar “wallpaper” and Tesla’s new solar roofs, the days of heavy solar panels installed on top of standard roofs appear to be coming to an end. 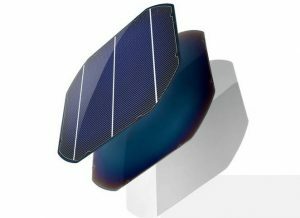 Thin-film solar cells are lightweight, much less resource intensive to manufacture and can be attached to anything that two-sided tape can stick too. It’s also flexible, which means it can be used on curving surfaces too. Tesla’s solar roof eliminates the need for panels because it is the roof itself. It comes in multiple styles and is essentially indistinguishable from a normal roof. Currently, they operate at 98% efficiency of standard solar panels (with improvements in the works), have “quasi-infinite” lifespans and are expected to cost less than a standard roof. Why would anyone choose the old, less durable, more expensive option? The Tesla solar roof builds on previous cleantech innovation, like a power storing battery, at the company. A major drawback of traditional renewable energy has been the difficulty in storing energy for when it’s really needed (typically not the middle of the day). 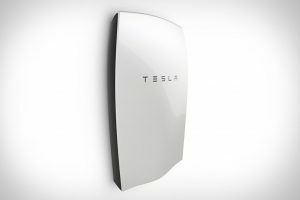 Tesla’s first Powerwall battery pack demonstrated the potential for decentralized storage. But it’s the release of the Powerwall 2, which has more than double the energy storage capacity at about half the installed cost per kW/h and is expected to be able to power a two bedroom house for 24 hours, that could normalize battery packs in homes around the world. That spring in your step could power the lights above your head. 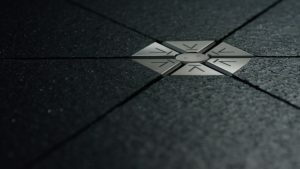 Pavegen floor tiles sink slightly when stepped on, spinning an energy storing flywheel as they do. The third generation of this innovation produces five continuous watts of power as someone walks across them. At this rate, the technology is far from capable of powering homes or buildings, but could be used to power LED streetlights. Given that it could be applied anywhere that people walk, achieving greater energy production per step could be game-changing. These are not a new technologies, but they are spreading and increasing in efficiency. 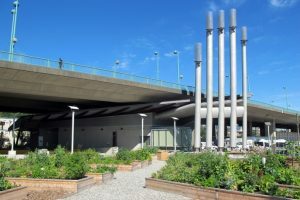 Well-established systems, like the one in Copenhagen, save households roughly 1,400€ a year, while eliminating the creation of approximately 665,000 tons of CO2 anually. As temperatures rise (hottest year on record, remember? ), district cooling will also become important in reducing energy consumption. Stockholm’s newest district cooling system serves about 70,000 people and can reduce energy consumption by a total of 45 GWH per year, saving roughly 5,000 tons of CO2 from reaching our atmosphere. Most importantly, these systems it’s catching on in cities that do not have longstanding traditions of using district heating or cooling. Do these innovations mean that climate change is solved? Not by a long shot. But with continued innovation and a sustained commitment to healthy mobility (among other things), we can reduce the impact of climate change while making life a little better for all of us.